The Contemporary Renaissance | Larval Subjects . I find these propositions intriguing but I have a few questions I would like you to address if you can. You stated in two of the responses that you’re using ‘axiom’ not as ‘self-evident truth’ but as ‘constraint or rule w/in types of math’ and that if the term ‘axiom’ is unsatisfying then feel free to replace it w/’thesis’. Two questions: one, if axiom is used with little or no problem and in this instance for types of ontological issues, how would axiom as ‘constraint or rule within types of mathematics’ apply here? When referring to axioms of set theory for example, there are procedures (and I’m not using that term in any badiouian sense) and operations I could do; there are problems to be solved, and so forth such that it makes sense that this constraint, rule, or what have you productively governs my behavior as it pertains to specific types of mathematics. Here though, #12, and #15 for example, I’m not aware of how if they constrain certain moves within a discourse or are rules w/in a discourse that could do anything; be operationalized. How would they do any work? Like, how would #12 change discursive behavior? Would we stop singling out the Greeks in terms of past civilizations; would attempts to retrieve aspects of the past that some find potentially beneficial in a non-christian/post-christian setting be deemed/regarded as non-helpful? Same w/no. 15, would admitting the inability to resolve the climate crisis (or even alleviate it), do anything, produce an effect, in the way that certain rules within specific mathematic discourses produce effects? Second question: if ‘axiom’ gets changed to ‘thesis’, what then occurs? How is thesis being used here? If thesis is simply retaining its’ everyday, colloquial use or meaning, then aren’t there supposed to be examples, or arguments, evidence of some sort, or just something to “back this up”? I mean how do you back-up number 12, or 15, or 16? Classicists view a lot of religious texts simply and utterly as literature, and isn’t it reasonable to suppose that a majority of religious believers view other religious folk’s text(s) as simply literature when reading them (albeit they don’t see their own as just literature)? Plus, a lot of literature comes from these prior texts. If I use ‘thesis’, should I be thinking ‘claims/propositions given where various knowledge-projects are currently’ or more ‘hypotheses’, or maybe, ‘speculations’? Thanks for the difficult questions! With respect to the use of the term “axiom”, my position is that sciences such as physics, biology, astronomy, chemistry, and neurology as well as social sciences such as sociology, ethnography, cognitive science, and psychoanalysis have shown us certain things about ourselves and the world that function as constraints within which philosophical questions must be posed to be legitimate. We can’t just brush these things aside, pretend they don’t exist, or that we can continue to pursue philosophy in the same way in the way we did in the 18th century. Certain positions just aren’t feasible anymore. What I’ve tried to outline here is the framework within which questions of ontology, epistemology, ethics, aesthetics, and political philosophy ought to be posed. The list, of course, is subject to revision and some of the claims might be abandoned. 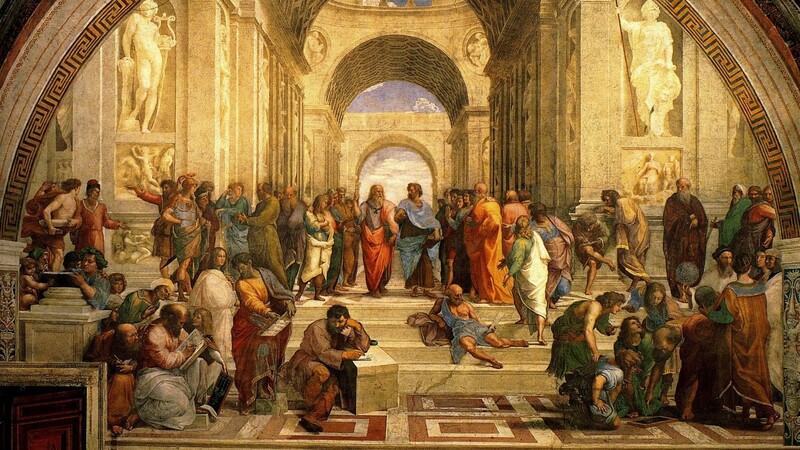 Regarding your questions about the Greeks and past civilizations, I’m certainly not suggesting that we just abandon antiquity and pre-contemporary philosophy. Certainly I’ve spilled plenty of ink writing about Plato, Aristotle, Lucretius (the best of the bunch), Descartes, Spinoza, Hume, Kant, Leibniz, and a host of others. When I talk about the splendor of our particular moment in intellectual history with respect to artistic accomplishments, the sciences, mathematics, politics, and the social sciences, I’m responding to a particular attitude I’ve often encountered among those working in the phenomenological tradition (inflected by Gadamerian hermeneutics) that speaks with an almost religious fervor about the Greeks as being an originary event, unparalleled in all of history, and that tends to be dismissive of anything contemporary. My view– shared with Badiou, I think –is that we are living in the midst of the most exciting time in human history and in the middle of an unprecedented renaissance in knowledge-producing practices, politics, and art. Antiquity and modernity just don’t hold a candle to the discoveries of mathematics and the sciences in the last century, the daring adventures of contemporary art, and the entirely new form of politics we’ve discovered. The things we’ve discovered in biology, metereology, physics, neurology, sociology, psychology, ethnography, and mathematics are simply unprecedented in human history. Comparing ourselves to the Greeks is a bit like comparing Euclid to the working knowledge of geometers possessed by craftsmen. There’s simply no comparison, nor should we grant the geometrical knowledge of carpenters to the splendor of Euclid’s accomplishment and the manner in which it created mathematics. My contention, then, is that these radical transformations and inventiveness in science, mathematics, art, and politics, are what ought to provoke contemporary thought in philosophy and theory. Rather than dwelling in a dusty archive that perpetually tries to pretend these things haven’t occurred by endlessly engaging in a pious commentary on the pre-Socratics, Plato, Aristotle, Descartes, Kant, Hegel, and so on, our age calls us to be the new Descartes’s, Spinozas, Leibniz’s, Rouseau’s, Kant’s, and Hegel. Far from trying to defend the sovereignty of philosophy by protecting it against science, we should embrace the new age and ask what it calls us to think. “Antiquity and modernity just don’t hold a candle to the discoveries of mathematics and the sciences in the last century,..” Or a glow-in-the-dark sheep. Potential ramifications…? Imagine if the African chattel slaves had been so marked, no more escaping in the dead of night. But notice that your very ability to make that criticism arises from a concept of universal suffrage almost completely foreign to antiquity that arose out of modernity! Thanks for the detailed response! And so quick… I really appreciate it. A few points: I completely agree with the claim made about Gadamerian-influenced hermeneutics, and in general post-Kehre influenced Heideggerianism. I did often wonder why there was or is this near-compulsion to repeat and imitate the ‘regressive method’, which one gets from Husserl (who may or may not have received it from Kant), but which Heidegger had already critiqued in some ways. It is quite strange, since already when Heidegger began to ‘think being-historical(ly)’ he noted not simply developments, but shifts/ruptures as well. It’s not as if the “Greeks” who may be relevant if one seeks to understand ontologically the contemporary situation regarding the significance of technology, would have anything to say about Onto-theology; Thomistic-Christianity comes after, and so must be noted in historical terms that would stress discontinuity and not a continuous state of development post some originary Greek event. So I’m really just wondering if the issue that concerns a number of these propositions circles back around to number 1, or if they are elaborations, or ‘riffs’ off of number 1. In other terms, when Heideggerians and phenomenologists more generally speak of some primordial Greek-event, or contemporary Aristotelians (Virtue ethicists, analytic Thomists, social conservatives/traditionalists, etc.) speak of inherently meaningful social practices/biological behaviors (and here I could keep bringing in different groups), when all this occurs, is the main problem or concern that “continental” philosophy still has not been constrained or rule-governed by a thorough engagement with the sciences, particularly, biology and cognitive science (since these fields more than any others accent the non-purposive, non-inherentist, a-teleological, etc. )?